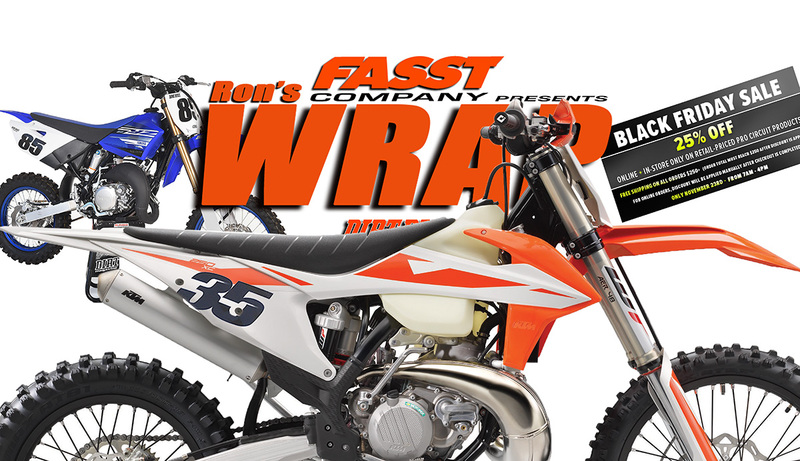 This week we rode the 2019 KTM 250XC two-stroke for the first time. This might be the best all-purpose dirt bike of the year. It’s offered as an off-road bike, so it has electric start, a kickstand, handguards and all that. But it has a full-moto 250cc two-stroke motor. It’s in almost the same state of tune as the 250SX motocross bike, but that’s a bike without electric start. This is the one motorcycle to have in your garage if you’re an occasional racer who play rides or goes off-road most the time. The KTM 250XC is half moto, half off-road. Three years ago, KTM redesigned all its big two-stroke motors, incorporating a counterbalancer shaft to quel vibration. At the time, the 250 SX got a little heat for being too explosive. The XC model came out a little later with the electric starter and all the off-road stuff, including a six-speed gearbox. Even though the cylinder, piston and power-making parts were essentially the same, the bike didn’t have the explosive nature. For 2019, that bike got all the same chassis updates that the motocross line got. That includes a more rigid frame, new bodywork and some suspension reworking for the WP AER 48 air fork and the linkage rear suspension. In most racing venues, the 250 two-stroke races against 250 four-stroke where it has a big power advantage. What the bike didn’t get is just as important. It didn’t get KTM’s TPI electronic fuel injection. The more off-road-oriented 250XC-W and 300XC-W did. KTM did a good job with those models, but the bottom line is that their primary reason for being is still emissions in Europe. Over here, the bikes are still considered closed-course competition vehicles. The carbureted 250XC is a little lighter, less expensive and has snappier power delivery. Also, the 250XC has much better front suspension than the 250XC-W TPI. The “W” models all come with the Xplor 48 coil spring fork. No one is crazy about it. The XC has the air fork, and even if you aren’t the biggest fan of air, it still offers great performance and adjustability. The XC also has linkage suspension, whereas the “W” has PDS. The debate will rage on over the comparative values of the two designs. Look for a full test of the KTM 250XC in the February, 2019 print edition of Dirt Bike. The 2019 Yamaha YZ85 looks the same, but is completely different. 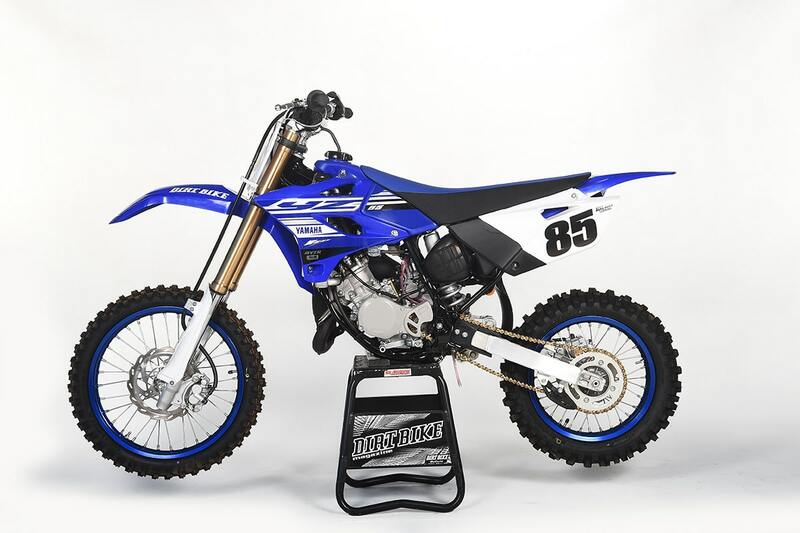 The Yamaha YZ65 that was released at the end of 2018 model year stunned us so much that it upstaged Yamaha’s next mini bombshell. The new YZ85 is big news, but didn’t get as much attention because it looks unchanged. Yamaha’s engineers did the exact opposite of what we’ve come to expect from Japanese minis: they completely redesigned the motor and left the appearance unchanged. The bike now has a power valve motor with more compression. It also got suspension and chassis changes, but the bodywork is the same as always. For fork has more adjustability and–this is actually big news–the top triple clamp offers four handlebar positions, so a kid can grow into the bike. 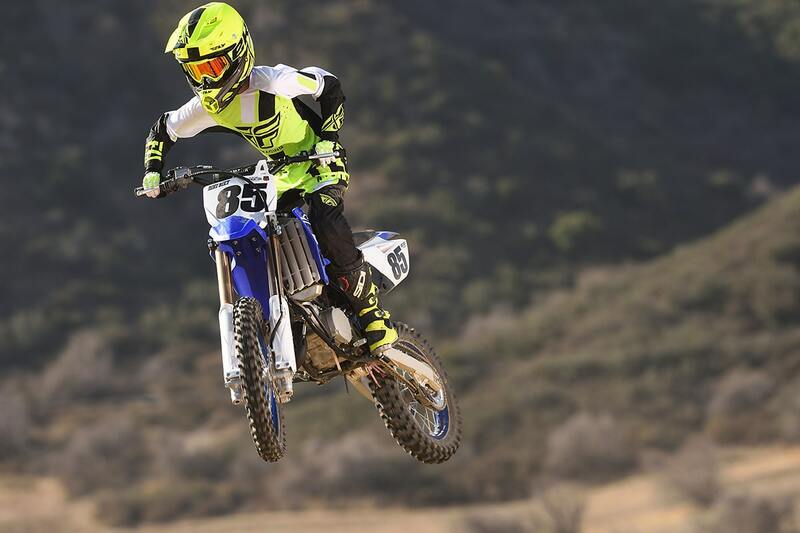 Storm Hawks tests the new Yamaha at Glen Helen’s StadiumCross track. This bike will change everything in amateur racing. KTM had edged everyone out of the 85 results at Loretta Lynn’s Amateur National, aside from sporadic performances from Kawasaki and Husqvarna. 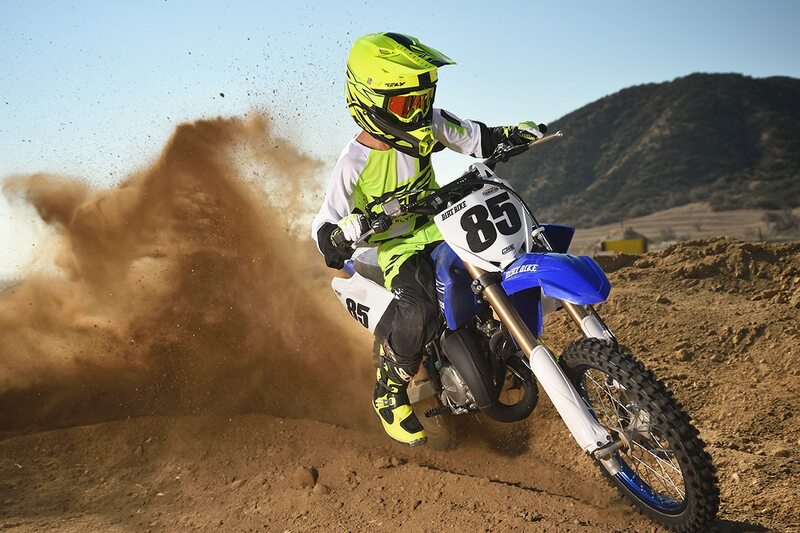 By bringing the motor performance back into the game, Yamaha is offering young riders a realistic alternative. The biggest question that everyone wants answered: is it faster than a KTM 85SX? Right now, it’s too close to call. Seat-of-the pant results tell us the bikes are close, but we will have to wait for a comparison test for the final determination. The Yamaha test will appear in the February, 2019 print edition of Dirt Bike. SRA and Glen Helen get together at the end of each year to stage a race for good causes. The Kyle Yarnell memorial team race this year will benefit Alex Harrison, who was injured earlier in the year. Click on the image below for more info. Ty Tremaine was left without a ride very suddenly when Alta closed it doors last month. He was having his best season yet in EnduroCross. Beta stepped up to allow him to finish the season in third place, and now they’ve made it official. Here’s the press release. 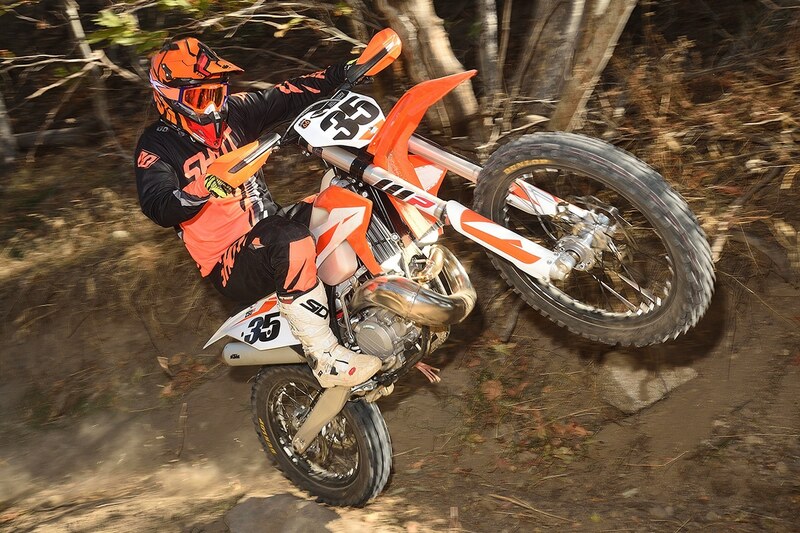 Beta USA is happy to announce its latest addition to our Factory Race team, the talented rider Ty Tremaine! Tremaine was signed by Beta USA earlier in the season with the intention that he would finish the 2018 EnduroCross series for Alta Motors. When Alta Motors suddenly closed, Beta USA offered Tremaine a bike to ride for the remainder of the series which he put on the podium two times. Tremaine will be racing in the 2019 EnduroCross series as well as the 2019 WORCS series. Beta USA believes that with the help of AMA Hall of Fame team manager; Rodney Smith, Tremaine will have a very successful future in racing. 2019 FXR CATALOG FREE DOWNLOAD!